The only Scot and youngest Briton ever to compete a solo expedition to the South Pole will be returning to Aberdeenshire next month to share his experiences with the public. 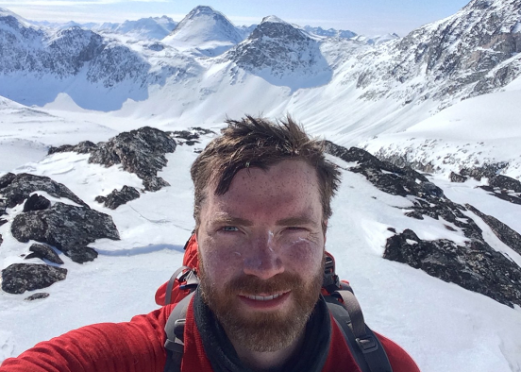 Luke Robertson, who completed the gruelling trek earlier this year, will be describing his experiences en route the South Pole at the Grassic Gibbon Centre in Arbuthnott on Thursday, June 9 at 7.30pm. A former pupil of Netherley Primary School and Mackie Academy, Mr Robertson undertook his journey to the southernmost part of the globe after major surgery to remove a cyst from his brain and heart surgery. After months of intense training and painstaking planning, the 30-year-old finally achieved his goal in January 2016. Mr Robertson will share his reminiscences with Andy Hall, his former Head Teacher at Netherley, in an illustrated conversation. “Andy Hall and I will have the chance to chat about my recent solo and unsupported expedition to the South Pole. “We’ll discuss the motivation, the training, the equipment and all the logistics required to spend 40 days alone on a 730-mile journey to the bottom of the world. Tickets for the event, priced at £10, are available from the Grassic Gibbon Centre on 01561 361668.